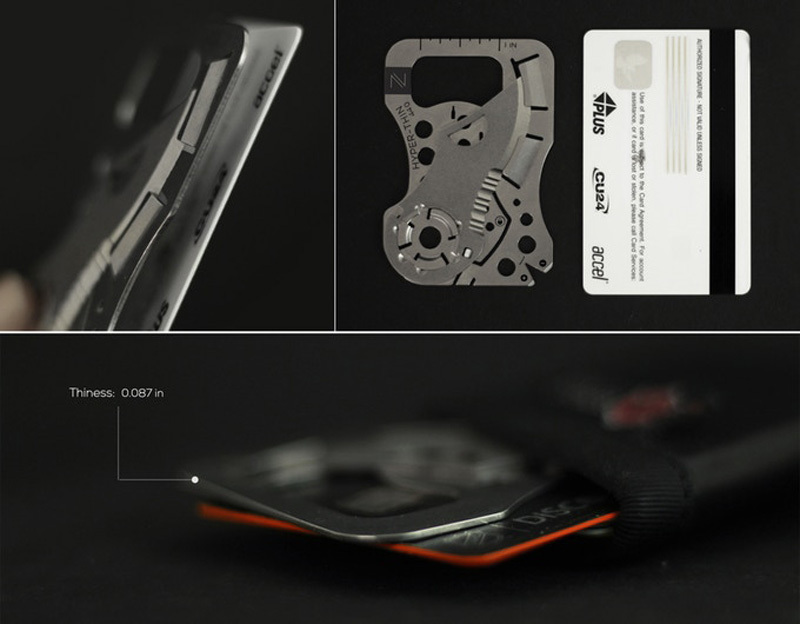 CROWDFUNDING NEWS – The team behind the WildCard multitool is back at it again with the Hyper Thin 440 (HT-440) and 420 (HT-420) every day carry wallet multi-tools. Every part of the tools are useful, and there are laser-drilled holes all over to reduce weight. 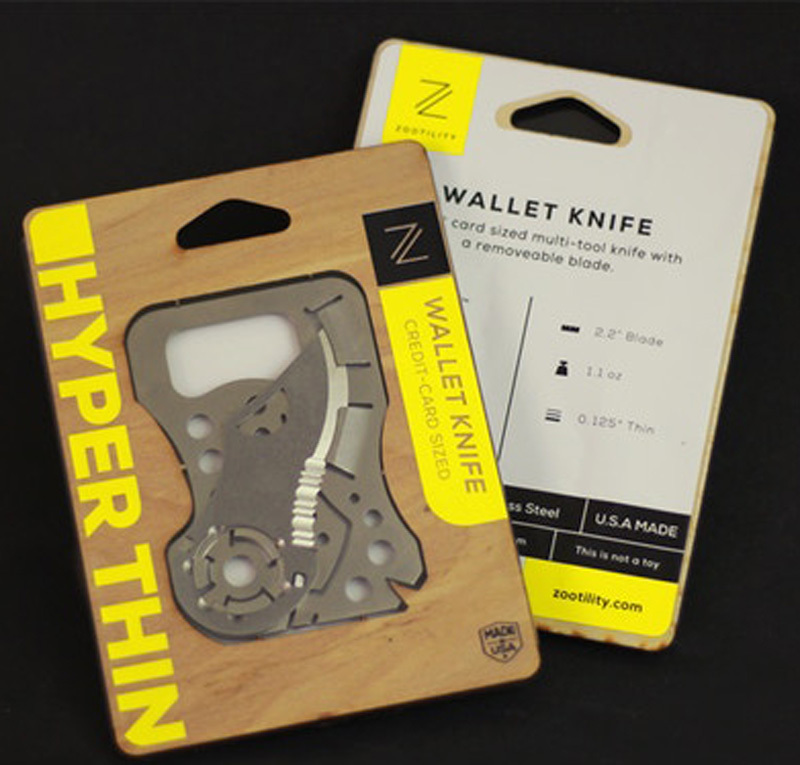 Both are incredibly thin and light. The top of the line HT-440 has an upgraded 440C stainless steel blade to improve durability and sharpness and a stronger 420 steel handle. A little lower on the food chain is the HT-420 with a 410 steel handle and 420 steel blade. A really nice feature of the two tools is that the blade can be removed, allowing you to carry the remainder with you on commercial airlines. The “FlyOff” design is patented. Worst case, if you are stopped by TSA, you can just surrender the blade and purchase a replacement for less than the cost of replacing the entire tool. 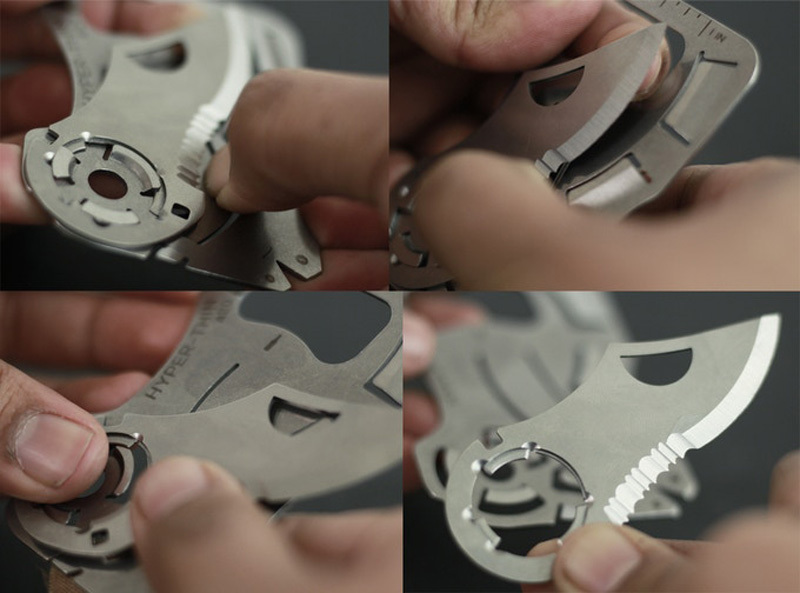 As someone that forgot he was carrying a Leatherman…twice…I see this as a terrific feature. 1. Press Unlock button | 2. Push blade up and rotate | 3. Keep rotating | 4. Blade is off. This Kickstarter project has already raised $16,721, far surpassing their $2,500 funding goal. The campaign is set to finish on Wed, April 24, 2019, 11:59 PM EDT with shipping beginning in May or June 2019, depending on reward level. Reward levels start at $25 for the HT-420 and $45 for the HT-440. For more information or to support the project, visit their page on Kickstarter. i prefer the Gerber 22-41830 EAB LITE for everyday carry. 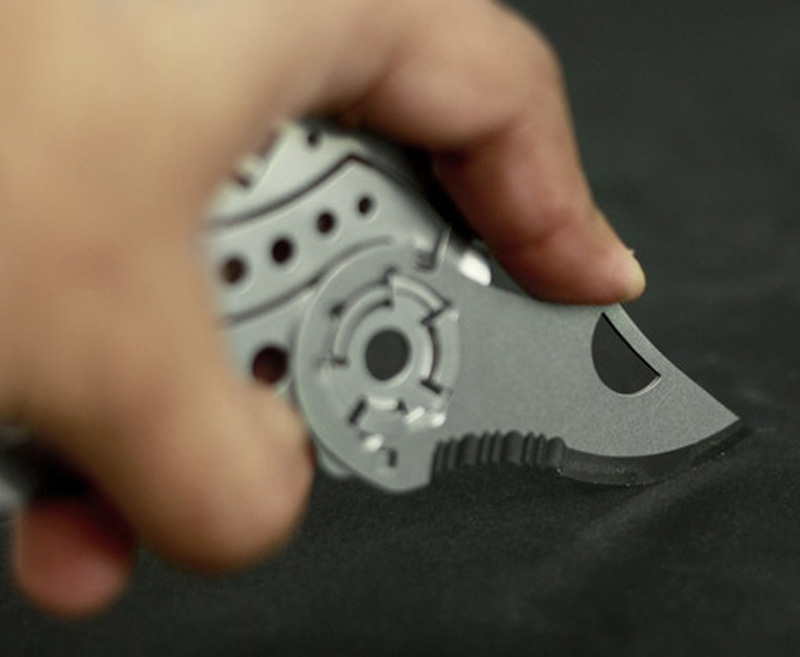 It has replaceable cheap blades, protects the blade, stainless steel and is easy to open.